The Wales Farm Safety Partnership (WFSP) is offering local workshops to help farmers get to grips with health and safety in the work place. 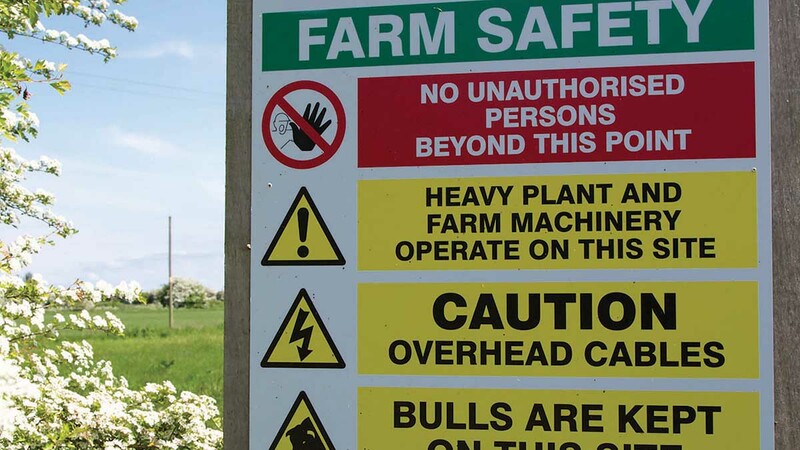 Welsh farmers have been urged to get on board with local safety workshops to reduce the ‘stubbornly high’ number of workplace fatalities. The programme, part of the Wales Farm Safety Partnership (WFSP), will be made up of short, practical demonstrations on topics including the safe handling of livestock; working safely at heights; operating all-terrain vehicles and farm machinery and the handling of dangerous chemicals. WFSP chairman Brian Rees said these were the areas of work with particularly high incident rates. He said: “If more farmers are taught to recognise the risks by attending one of our workshops, and then take the necessary steps to reduce them, we will be making a very positive start on tackling the problem. Drugs and alcohol testing: What are the rules while operating farm machinery? “I would urge farmers of all ages to take an afternoon off to attend one of these events, including students and young farmers just starting out in the industry. Statistics suggest farmers are now six times more likely to be killed working on a farm than workers on a building site, and Mr Rees said it was important the industry was up to speed with all aspects of farm-safety. The first two events, delivered by Farming Connect, will be held 1-4pm on May 17 at Coleg Glynllifon in Llandwrog LL54 5DU, and on May 18 at Gelli Aur, Coleg Sir Gar SA32 8NJ. “You are never too young or too old to learn and it could mean the difference between life and death or the loss of your livelihood,” Mr Rees added. To book go to www.gov.wales/farmingconnect or call the Farming Connect Service Centre on 0845 6000 813. European Elections: Where do the different parties stand on agriculture policy?